BOLE Machinery (hereinafter referred to as [BOLE") was founded in 1998. 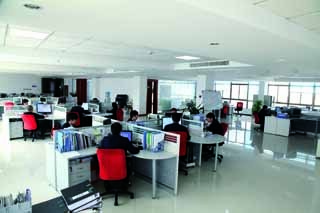 As a subsidiary of CHENGLU group, BOLE is a high-tech enterprises that focus on the research, development and manufacture of precision machinery equipment. It adopts the mode of [technology from Germany, made in China", integrates design, manufacture, assembly, testing and sales, and provides complete and professional Injection Moulding devices for customers. BOLE Injection Moulding Machines are developed and directed by German experts. The range of products covers nearly 100 specifications and 6 main series, including high-precision Two-Platen DK series, hydraulic servo EK-S series, full-electric FE series, Carbon-Fiber Products Intelligent Moulding Line CIML series, high-speed HK series and multi-materials injection MK series. The range of clamping force is from 70 ton to 6800 ton, and the range of injection weight is from 65g to 60000g. As a latecomer in China`s injection moulding machine market, BOLE keeps competing with other brands, and wins the trust from customers with high-performance and high-stability product as well as customized service. 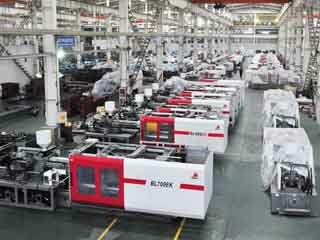 So far, BOLE injection moulding machines have been sold and exported to more than 70 countries. Especially in the last three years, the developed countries in America and Europe have grown into the main markets of BOLE. BOLE proposes a comprehensive strategic partnership with the well-known household appliances enterprises including GREE, TCL, AUX, etc. Meanwhile, BOLE plays an important role in Auto industry and builds a strategic cooperation with famous auto-part suppliers including Ningbo HuaXiang Group, Germany Adler Pelzer Group, etc. So far BOLE has entered the supporting systems of Auto-part manufacturers and suppliers including Beijing Benz, Shenyang Huachen BMW, China FAW Group, Shanghai Volkswagen, Shanghai General Motors, Geely Automobile, etc. In the future BOLE will take intelligence, efficiency, precision and energy saving as the direction of innovation and development, and concentrate on improving the core competitiveness of customers. Besides, BOLE will also continue to advance the path integrated by Hi-Tech industry development, professional production and perfect sales, and establish a sustainable modern high-tech brand. 2018 R&D succeeded on well-built MK series. 2017 Joined China plastics processing industry association (CPPIA) and became the governing unit; R&D success on the next generation of EK-S series. 2016 Launched servo energy-saving Injection Moulding Machine EKII series. 2015 The team led by a senior German expert, developed world-leading Two-platen machine DK series successfully; Carbon-fiber products intelligent moulding line CIML series was developed and launched; became No.1 on the growth rate of China's plastics industries; established a Strategic cooperation with Gree Electric Appliances Inc.
2014 Became the Top 25 enterprise of comprehensive strength among China`s Plastic Machinery industry; became the Top 10 among injection moulding machine enterprises in China. 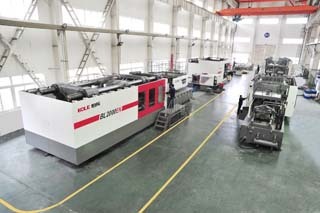 2012 Large-volume injection moulding machine was developed. 2010 The third generation super-energy-saving servo precision Injection Molding Machine EK series was developed and launched totally with cost effectiveness, outer-crank-shaft mechanism and larger parameters; BOLE`s scientific research bases were established for servo energy-saving project in Chinese Academy of Sciences (CAS) and Nanjing University of Aeronautics and Astronautics (NUAA). 2009 Launched small and medium-sized injection molding machines of EK series successfully; The Malaysian factory was completed and put into operation; Bole developed rapidly on transnational operation. 2008 Invested 130 million RMB, Introduced top talent from abroad, and developed successfully EK series injection moulding machine with central locking mechanism. 2007 CHENGLU Group wholly owned SHUANGMA Machinery, and invested 300 million RMB to build BOLE industrial park. 2006 Awarded Nation High-tech Enterprise by the ministry of science and technology. 2005 Energy-saving servo system was developed with proprietary intellectual property rights, and the first set of super energy-saving servo injection moulding machine was produced. 2004 undertook the national 863 scientific research project, and built provincial engineering (technology) center. 2003 listed as the Chinese injection molding machine Characteristic Industrial Base. 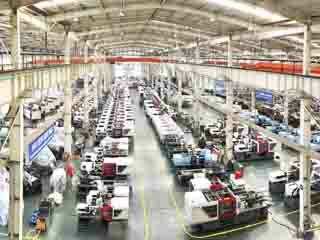 2002 Thousand-ton-level injection moulding machine was developed with proprietary intellectual property rights. 1998 Ningbo shuangma machinery industry co. LTD. Was established.